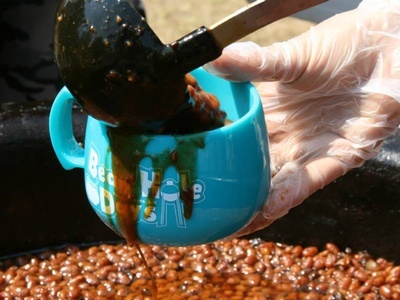 Come and celebrate Bean Hole Days in Pequot Lakes July 16-17, 2019! The huge cast iron kettles of beans are buried on Tuesday, July 16 so they can cook overnight and be served free of charge on Wednesday, July 17 at noon. This year, we are accepting online credit card payment and MEMBERS ONLY can request an option to be invoiced. Your completed registration application must be sent via e-mail (scan or photo is acceptible) immediately after online registration and payment is complete to ensure your spot is reserved. Please e-mail a photo or scan of your completed registration page to katie@pequotlakes.com for Bean Hole Days.